Hey all. I can’t believe we’re past half way through the year already. But today’s the first Wednesday of the month, which means it’s time for my IWSG post. 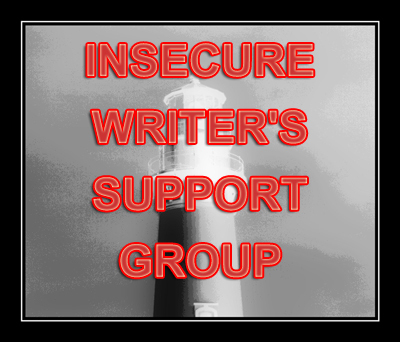 For those of you unfamiliar with the idea, IWSG is a monthly bloghop where a lot of writers share their insecurities and encouragements. Which in the end makes everyone involved feel better. Don’t believe me? Join up and see. You know… I’m starting to think 2014 is going to go down in my history is THE SUCKIEST YEAR EVER. Well 1) because I need prayers, people, and this will be the shortest route to get a wide exposure. 2) because it actually does have to do with my big insecurity this month. So please bear with me. As you may know, I spent four months this year grappling with my former publisher with regards to my rights to my War of Six Crowns books. So by end of April/Early May, it’s all over. And I finally get back into the groove where I can write and edit and just generally focus on getting stuff done. But just when I think everything’s okay again, suddenly it isn’t. See, my family business (in which I own a substantial share) is in the agricultural industry. The natural progression given the success we had for two years was to buy a farm. We basically purchased on a delayed agreement, which means we pay rent on the farm for a few months. At which point we either give the farm up or buy it. The lovely thing is that we got the farm, which is valued and priced so we can get a loan on it. But last week, a new bomb dropped. After hearing vague rumors, it has now been confirmed that our government is actively looking into passing a law, taking 50% of land owned by farmers and redistributing it to impoverished communities. Let me say that again, before anyone has an “awe that’s so sweet” sort of reaction. To give HALF of property OWNED by people. To other people who can’t and won’t be paying a cent for any of it. It means that people who have mortgages on farms they purchased, will have to pay full mortgages on half farms. I.E. $2mil when he/she only has $1mil of farm left. And which means they will have to do so on half their projected production levels. Which in short, means that no one in his right mind will buy a farm now. (We also stopped the purchase until we can see what the law will really be in the end.) But it also means no one’s investing in agricultural businesses either. Farm or no farm. And certainly no one will contract us in long term exporting arrangements now because no one knows what the output will be. Which means that yes. My business is grinding to a complete halt. Which means that, yes, this is probably as insecure as you’re ever going to see me. Because right now, as I’m writing this, everything I’ve worked for (including my plans to publish) are teetering on the brink of evaporation. The ramifications of this is absolutely staggering. And that’s just on our farm. I’m not even getting into what this law will do to the economy as a whole. Which means that yeah. I’m terrified. I’m worried. I still stand firm in the belief that God hasn’t and won’t desert us. But sometimes standing firm is taking so much out of me that I can barely concentrate on anything else. So yes. Please pray for my country. For my farm. For the people on my farm. For my family and for me. Because right now, everyone of us needs every intercession every one of you can make. Ladies and gents, I feel awesome! Despite having felt like a wrung out sponge yesterday, I felt like I needed to drag my carcass to church. So I did and experience one of the BEST church services I have EVER attended. So today I feel energized and ready for everything. I’m still struggling with the awards page, but I’ll try to have it figured out by tomorrow evening. I’m going to have to keep this post short and sweet, since I have to get to class. Very sorry if this feels a little rushed, but there’s nothing I can do about that. I can’t blog later, since I have to get back to my studies. So… my experiences this weekend got me thinking about writing. I loved this weekend, but it was so incredibly tiring. My energy and emotions felt so drained that I couldn’t even think about touching a text book. Let alone studying. I find that the same happens with my writing. I absolutely positively love getting into the zone, and when I get there, I see unrivaled productivity in my writing. When I’m there, I can write a quarter of a book in a single sitting. But after that, I can’t write at all. I feel tired and drained and as if my words have vanished. I sometimes feel as if I can’t even blog properly after I got out of the zone. I don’t even feel like writing. So I just don’t. Then before I know it, my muse will beckon me again and I will start writing little bits at a time until I’m back to writing torrents of words again. Have any of you experienced this? How do you write? Do you ever get into a zone? Do you also get after-effects? Evening all, I must apologize for not posting earlier today, but that Church workshop I mentioned a few days ago was today and I only just got back. I’d say… moderately to very well. Depending on what aspect we’re talking about. I met some great new people and got some extra assurance from the Big Man Himself. I also got to experience some of his Power rushing through me. It’s strange I guess. Many people get drunk with the Holy Spirit. But me? I get hit by it with the force of a wrecking ball. Not that I mind. It’s a rush no one can understand until they’ve been through it. There were only two things that bothered me though. One was that I spent most of the day running up against some invisible wall. The wall ‘s gone now – after all, nothing withstands a wrecking ball of the scale I’m thinking – but a small part of me just isn’t happy with what I managed to achieve today. Sigh. The other is that of the Gifts of the Spirit that were discussed, mine got very little attention. It’s not the Pastor’s fault, but I’m still stuck with an acute sense of loneliness. He did, however, promise to put me in contact with someone who has the same Gift as me, so I’m holding my fingers crossed that this is the case. Anyway, I guess that a lot of you will be thinking: “This girl has lost her mind!” Ladies and gents, I have not yet even begun. But out of respect for the various faiths followed by people reading this blog, I am going to stop right here. If any of you are interested in knowing more about what’s up in my travels with God or just want to chat and/or ask questions, you are more than welcome to contact me at mishagericke (at) gmail (dot) com.